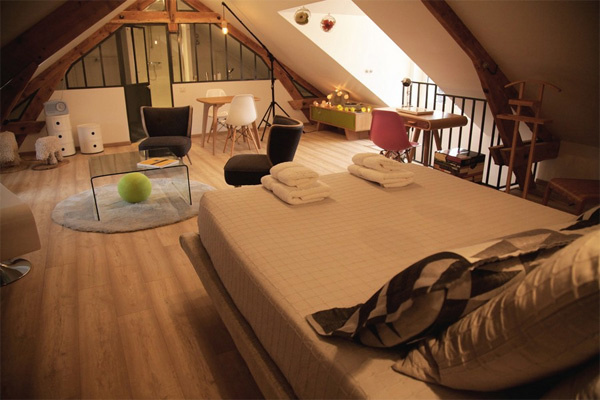 Attic is a space in the house that is found directly between the ceiling of the top floor and the inclined roof. Also they are known for having an inelegantly shaped space. This is one of the reasons that most attics are used as storage purposes. But wouldn’t it be satisfying to use all the available spaces in the house properly? Well, some convert attics into entertainment room, living room, bedroom, library, office space, children’s playroom and others. 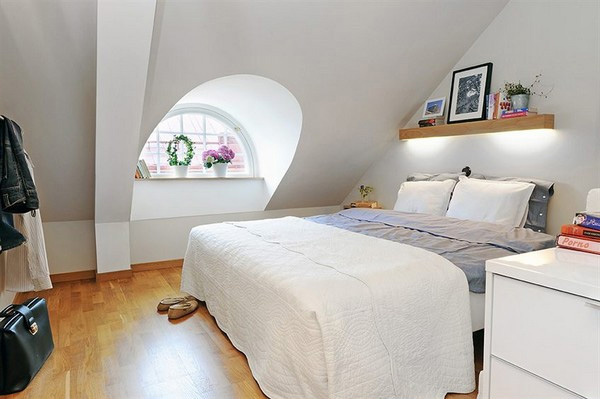 As for today, we will showcase some attic bedroom space. 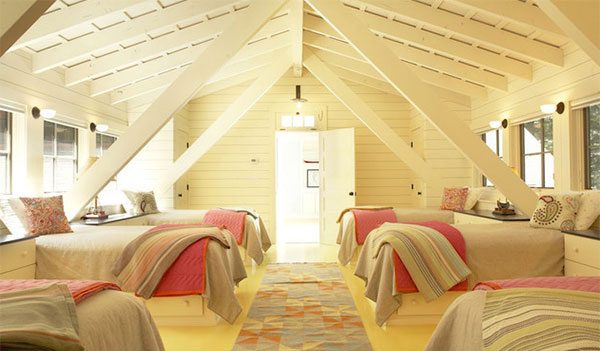 This might make you reconsider to use your attic as bedroom instead of using it as a storage. Moreover, check out how the designers smartly arranged the furniture to give a feeling of comfort and warmth in it. The walls, flooring and the ceiling are made up of wooden planks with a modernistic feel in it. Inspired from a classic looking room which was given a good cozy feeling with the use of semi-translucent curtains. A bedroom with some comfortable furniture will make you want to stay for the rest of the day. 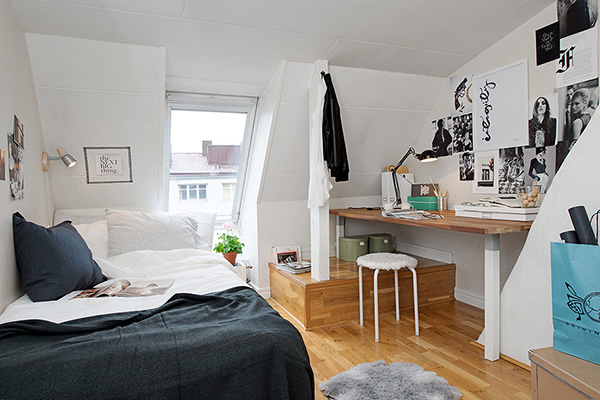 Having a study table inside the bedroom can help you concentrate in your studies. The old look of the coffee table adds up to the color of the room, not making it look dull and plain. 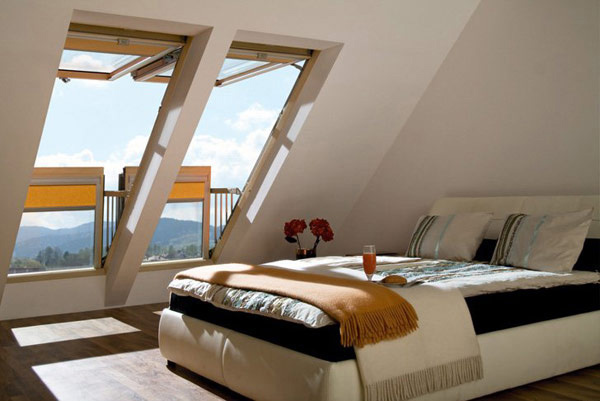 These big windows in the bedroom offers more light in it while an additional space outside is allocated for a balcony or a small terrace. 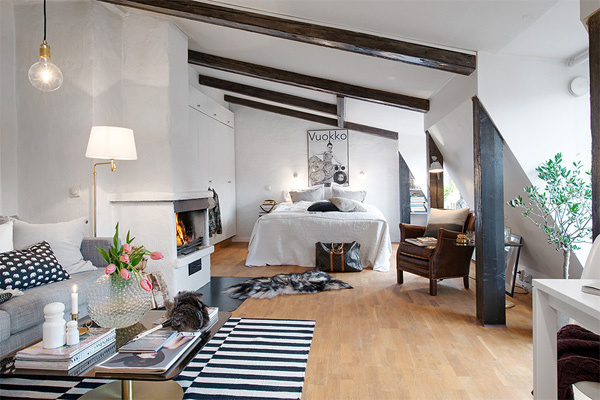 The white interior with bits of black plus the simple yet elegant fireplace has the room look so cozy. 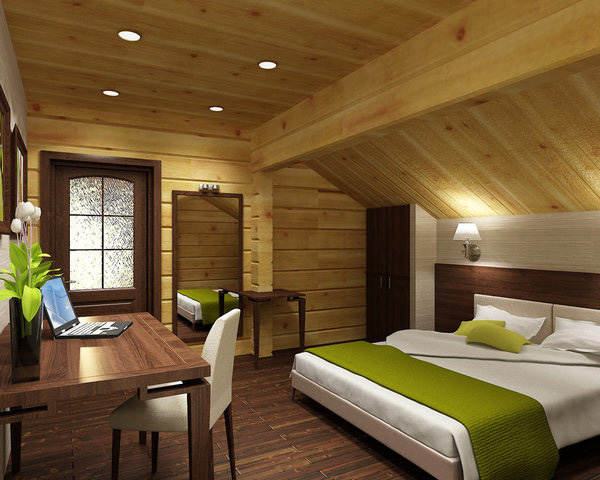 This room has fresh atmosphere in it that you will like to have in your bedroom. A hammock tends to bring out a lighter feel to this room. It makes the place not only for sleeping but also for relaxing and enjoying the time. 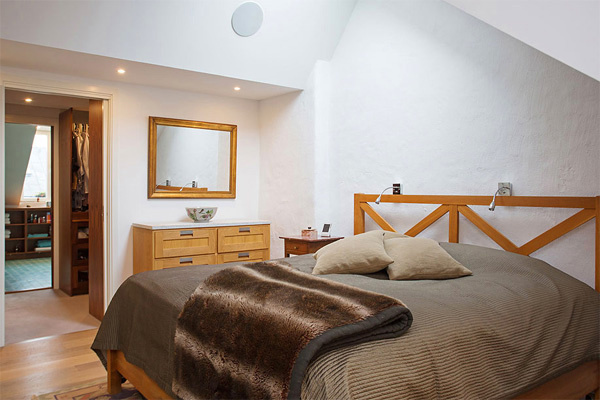 A Scandinavian style bedroom with white walls and a simple and comfortable double sized bed. A room with glass as a wall has a modern look in it. The interior for this bedroom is elegant and at the same time edgy with red wooden plank as a wall and exotic arabic-like designs for its pillows. 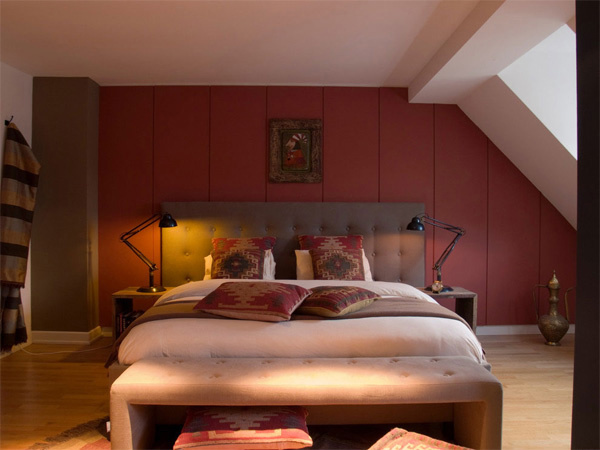 If you have a spacious attic, why not use it as bedroom for more people? This is surely perfect for big family! The bay window offers an area to savor the beauty of the outdoors. The orange and white motif brings out a lively ambiance. 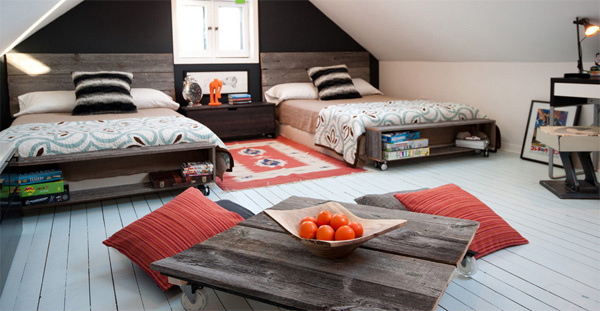 Making use of the limited space like the attic can be convenient especially to a big sized family. The pictures that have just been presented are a one way to use that space effectively. 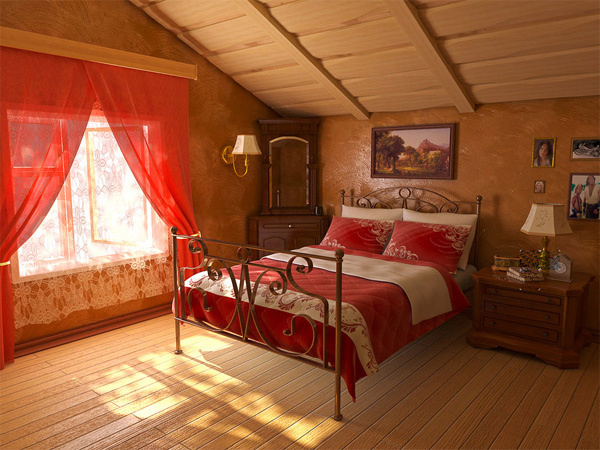 So if you have an attic, don’t just use it as a storage room, but as an additional bedroom for your house. Aside from a bedroom, you can also convert it into a living room.